General Logistics Systems, a division of Royal Mail in the United Kingdom and a major parcel carrier in Europe as well as regional operator in the United States, is buying the Canadian operations of Montreal-based Dicom Transportation Group for C$360 million from Wind Point Partners. Wind Point Partners is a private equity investment firm that has owned Dicom since 2014. The surprise move splits the company into two parts with Chicago-based Wind Point Partners and Dicom executives retaining ownership of the company’s U.S. subsidiary, Dicom USA, and CEO Scott Dobak continuing to lead that business. 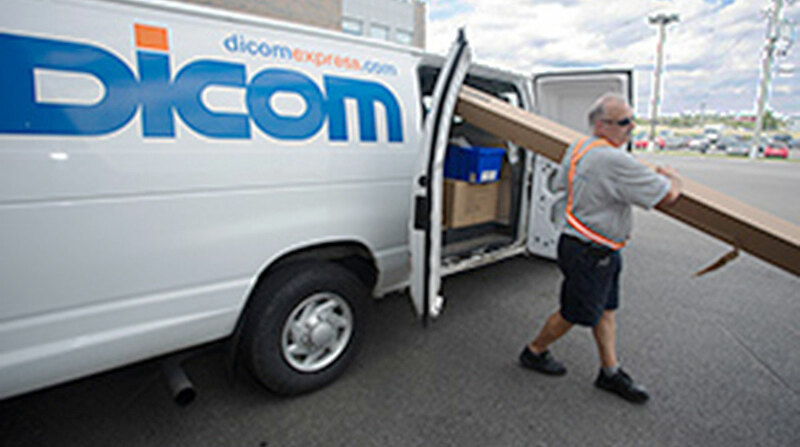 Dicom Canada provides business-to-business parcel delivery in Canada with a network of 28 depots and a strong presence in the provinces of Ontario and Quebec. The business will continue to be run by existing management with Rick Barnes as president, according to a statement issued by Royal Mail on Sept. 3. Rico Back, CEO of Royal Mail Group, said the acquisition of Dicom Canada is part of a strategy by General Logistics Systems to acquire businesses in faster growing market segments outside of Europe. General Logistics Systems is based in the Netherlands and operates in 41 countries and eight states in the western United States. The company generated total revenue of $3.27 billion in 2017 and contributed one-third of total operating profit for Royal Mail. Konrad Salaber, managing director of Wind Point Partners, said the deal represented an opportunity to cash in on a business in Canada that has grown significantly in size and profitability in recent years while also providing a platform for growing the business further in the United States. Dicom USA generates approximately $150 million in annual sales and is a leading provider of expedited final mile and distribution services by virtue of acquisitions made over the past few years, including regional parcel carriers Eastern Connection and Extra Express in 2015 and logistics service provider Advanced Distribution in 2016. Dicom CEO Dobak expressed satisfaction with the sale and the continued support of Wind Point for the business. Dicom Transportation Group ranks No. 83 on Transport Topics’ Top 100 list of largest for-hire carriers in North America. General Logistics Systems entered the U.S. market for parcel delivery in 2016 with the purchase of California-based Golden State Overnight. That was followed a year later with the purchase of Postal Express Inc. in Bellevue,Wash.